Cheltenham's most salubrious hairdressing salon, Gorgeous Hair, offers a truly indulgent experience. Their philosophy is to give you a fantastic haircut and stunning colours as well as luxury products, delicious refreshments, and a relaxing massage, all in sumptuous, contemporary, surroundings which will really give you a hairdressing experience to remember. No expense has been spared in producing a hairdressing salon that totally pampers its clients. From the moment you walk in through the door you are offered a variety of refreshments, a detailed consultation, recommendations on colours to suit each individual client's needs, then a relaxing shampoo and massage in the luxurious Shiatsu massage chairs. Following this, a gorgeous haircut and blow dry, advice on recreating your new look, and a choice of fantastic products to take home. 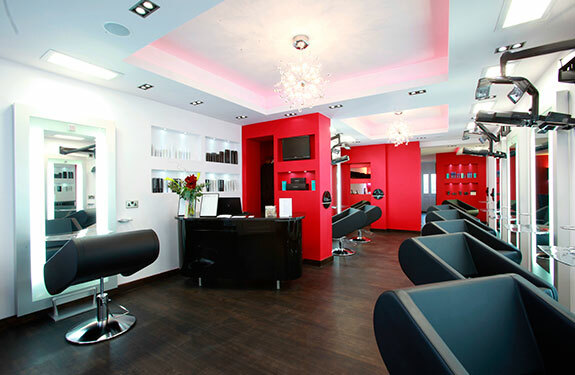 The hair salon in Cheltenham's Suffolk Parade features an eco-friendly daylight lighting system to give a flattering yet true representation of colours. The beautiful leather salon furniture has been sourced from Italy, and is both elegant and comfortable. Clients can access wifi in the salon, or relax and escape from the world with a glass of wine, fragrant fruit tea or a delicious cappuccino. The salon boasts free on-street parking of two hours directly outside the salon, with three hours permitted less than a minute's walk away, giving you ample time for all salon services. There is, however, also a very reasonably priced shopper's car park a short stroll away. Gary Bullock, State Registered Senior Hairdresser and the Gorgeous Hair Salon's owner, has had a fantastic 37 year career in hairdressing. 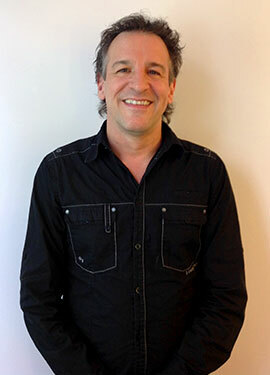 His first hairdressing salon in Cheltenham was established 19 years ago and grew to be a successful, flourishing business. Gary has now put all of his valuable experience into his newest and most exciting venture, Gorgeous Hair, which is situated in the heart of the popular and attractive area of The Suffolks. Gorgeous Hair offers salon exclusive products from top professional brands that we also use in the salon. These product ranges have been carefully chosen to represent the desires and needs of their clients, being paraben and sulphate free as much as possible and using many organic ingredients. Gorgeous Hair only use and recommend 'salon-only' professional hair care ranges with the entire selection available to order online at gorgeous-products.co.uk. These are professional products at affordable prices, which will be delivered straight to your door. Gorgeous Hair seeks to pamper its clients, however, of most importance to Gary is that clients leave feeling completely gorgeous – happy with their experience and their hair. He is a member of the Fellowship for British Hairdressers, having been awarded a gold star, and aims to live up the Fellowship motto "Strength through quality".